Used book, 250 pages, slight wear to cover, spine not creased, tight binding, pages in very good condition. 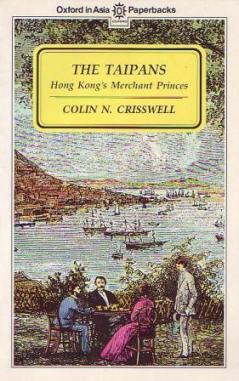 This book is an account of Hong Kong's merchant princes from the origins of the first trading houses in eighteenth century Canton and Macau to the beginning of the First World War. The early taipans, hard headed businessmen from Britain, USA and India, built up immense fortunes from the opium trade. In the 1830s a single company, Jardine & Matherson, controlled one-third of China's foreign trade. Drawing from a wide variety of sources, the author examines how fortunes were made and lost, the political influence of the taipans, their life-style, and the use which they made of their wealth after they left the east.